Today was an epic day full of history! We arrived at the locked gate at Chantry Flat Road about 10 minutes ‘til 6 just before the sheriff arrived to open it. We then drove up the windy road to the parking area at Chantry Flats, displayed our Adventure Pass and off we went into the Big Santa Anita Canyon. This place was beautiful! 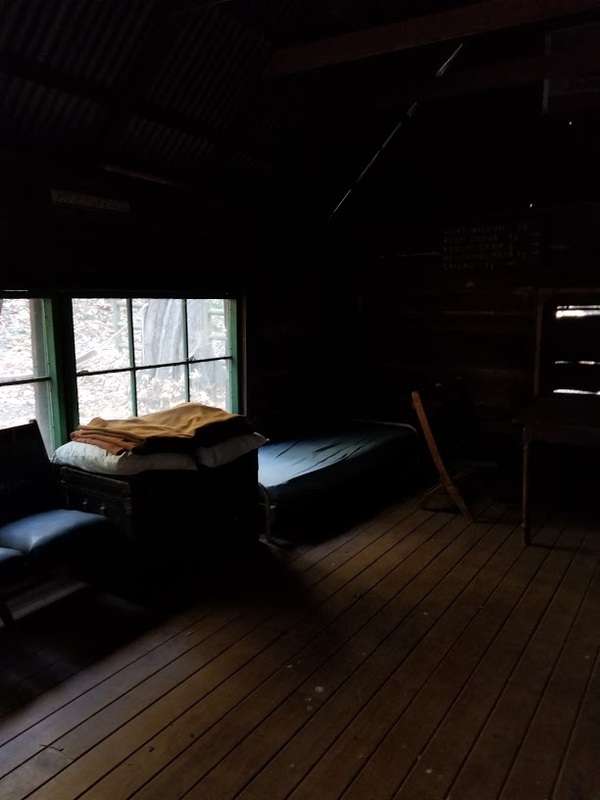 I immediately forgot I was only 25 minutes from our house in the city; towering oaks, a village of rustic cabins along a creek and lush, green ivy cascading the canyon walls. 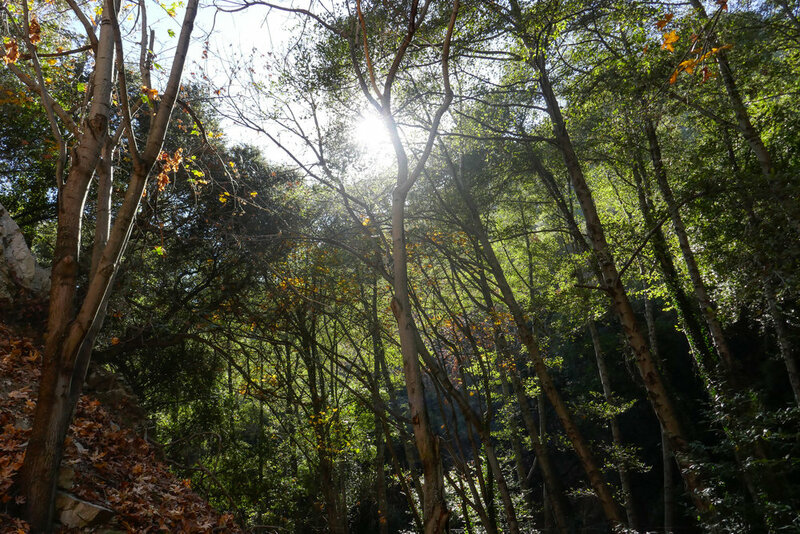 We trekked creekside along the Gabrielino Trail enjoying the scenery before we reached Fiddler’s Crossing where we followed a short spur trail to Sturtevant Falls. We then backtracked to the Lower Gabrielino trail and traveled onward and upward towards Sturtevant Camp. The Lower Gabrielino trail took us up above the falls which was pretty cool since I’d never actually been on top of a waterfall before. But be warned, the trail here is mostly jagged rock cut into the canyon wall, and there was one section in particular where it got a little sketchy due to erosion from the rains. Besides that section, the rest of the trip is on a lovely, well maintained path. 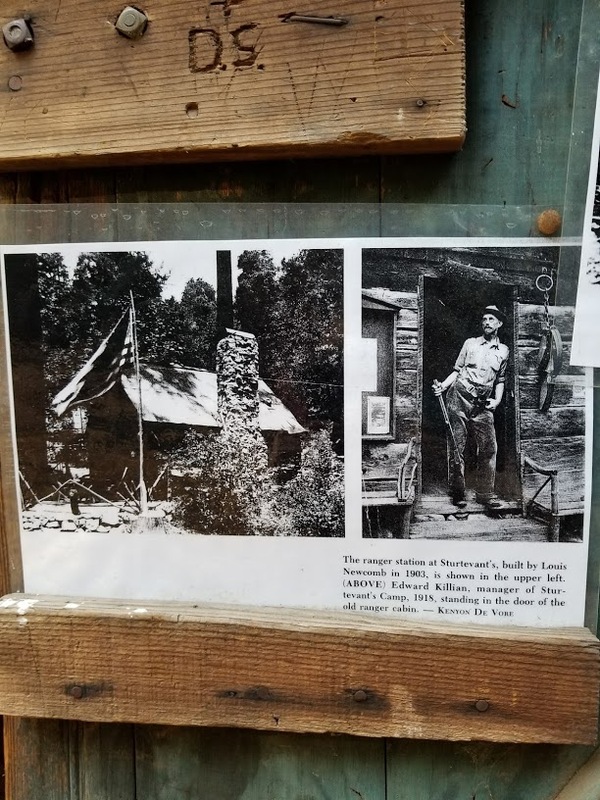 Next, we headed up towards Spruce Grove camp and picked up the Sturtevant Trail to the historic Sturtevant Camp, established in 1893. When we arrived, Brad, the host, greeted us welcomingly. We chatted with him for quite a while and he showed us around the buildings which date back to “The Great Hiking Era”. 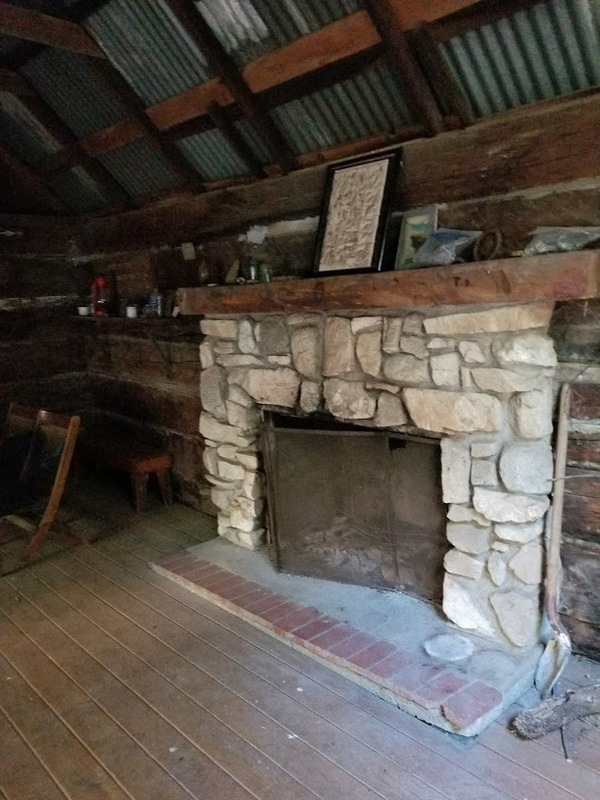 He also gave us a little history about the place and showed us inside the Sturtevant Lodge which has a kitchen, a dining hall and a fireplace room with an old piano. On the walls, you can see photos of Mr. Wilbur Sturtevant himself. At the turn of the century there were five resorts built here. 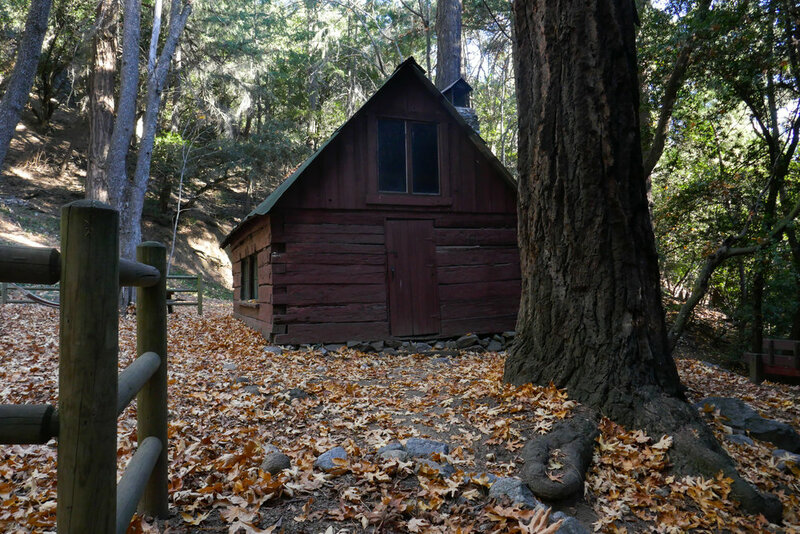 Sturtevant Camp is the only one that remains, and it’s still functioning! 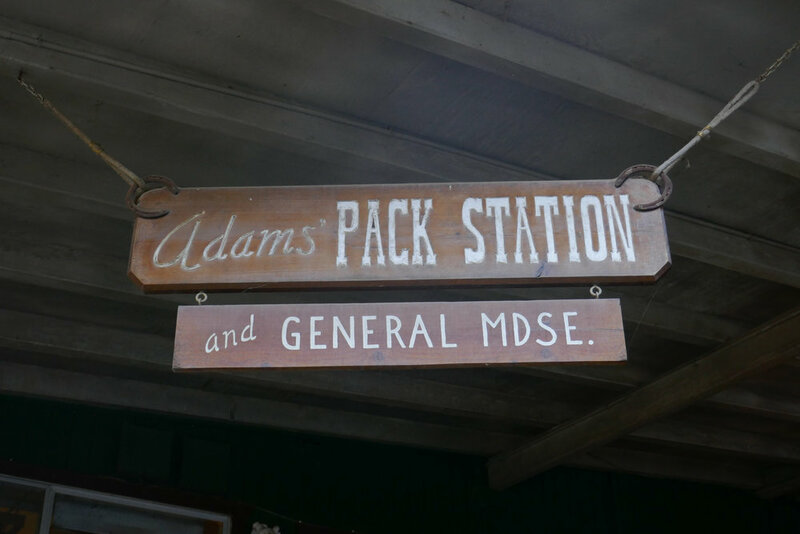 You can rent the cabins, but there is no wifi, cell phone service, computers or TV, and your things will have to be brought up by mules from Adam’s Pack Station. How cool is that! For more information, you can check out this link: http://sturtevantcamp.com/ After leaving camp, we got back on the Sturtevant Trail to the Upper Zion trail which took us to the spur for Mount Zion. In just a short climb we were at the summit looking back at Mount Wilson. After enjoying the view, we headed down and continued on the Upper Zion trail. This section didn’t have much shade and the switchbacks were steep. I was glad we were going down and not up! 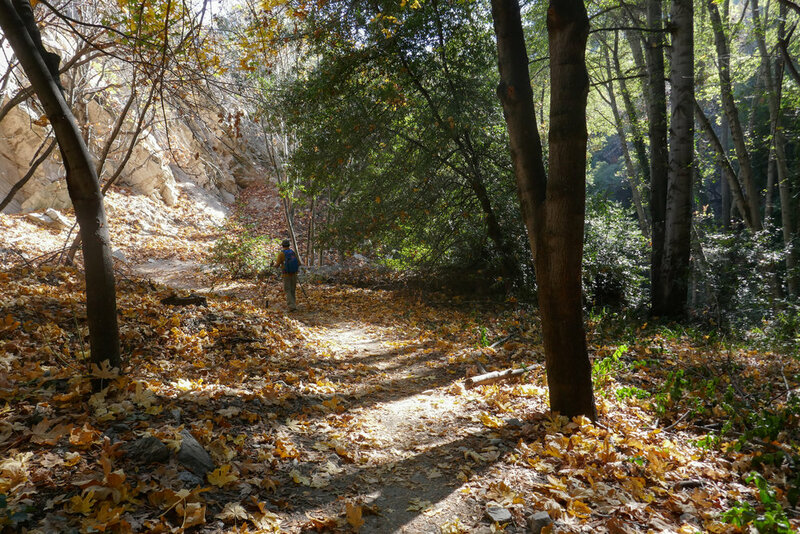 Eventually, the trail dropped us back into the cool, shady canyon passing through Hoegee’s camp and onto the Winter Creek Trail before reaching our car parked at Chantry Flats. We ended our adventure with ice cream from Adam’s Pack Station General store. I would have loved to have seen the mules, but they were busy working today and making a delivery to Sturtevant Camp. This was a really great hike with a little bit of everything; beautiful scenery, a waterfall, unique history and even a peak. 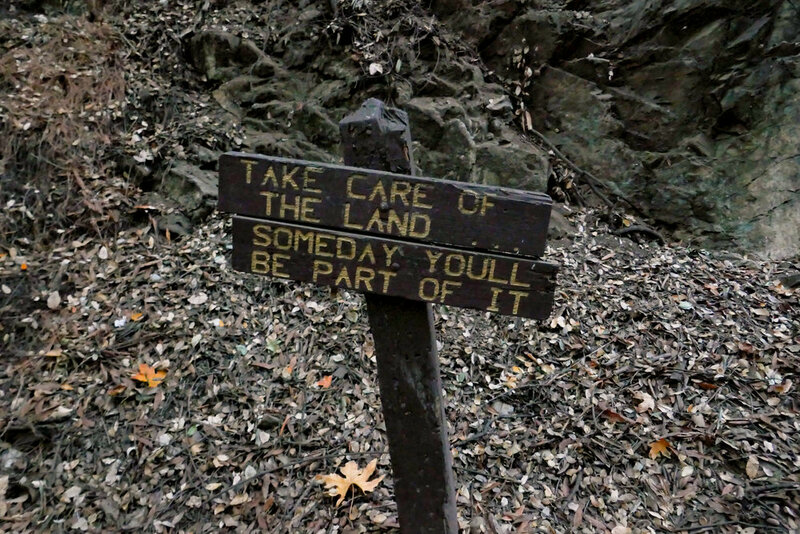 We will definitely take this route again through Sturtevant Camp when we hike to Mount Wilson! It was still dark when we headed into the canyon along the paved road. Beautiful historic cabins along the creek. You immediately feel a million miles away from LA. 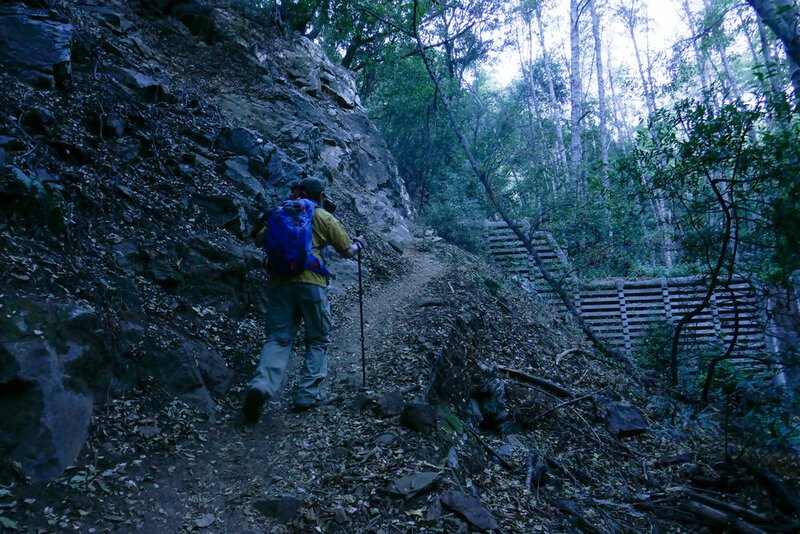 After the short spur trail to the falls, we back tracked to the Lower Gabrielino Trail. 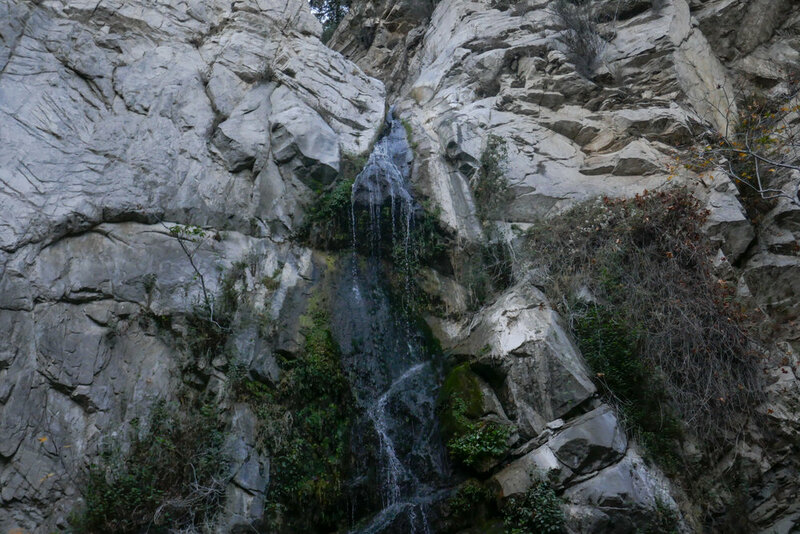 The Lower Gabrielino Trail takes you up over Sturtevant Falls. This small section of trail is very eroded. Another photo of the trail where you have to watch your step. 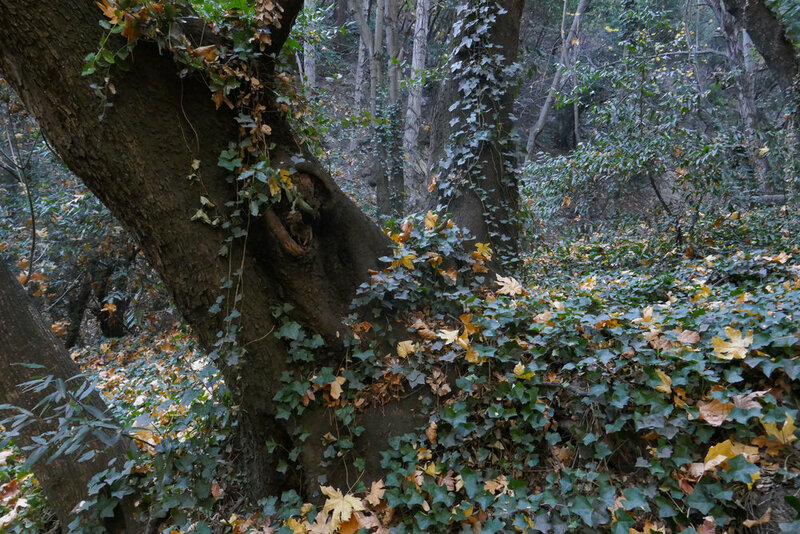 Looking through the trees at Sturtevant Falls. This is such a beautiful, scenic trail. Turning a corner into the sunshine. Spruce Grove camp. There are bathrooms here. Heading to the historic Sturtevant Camp. Ranger Station. 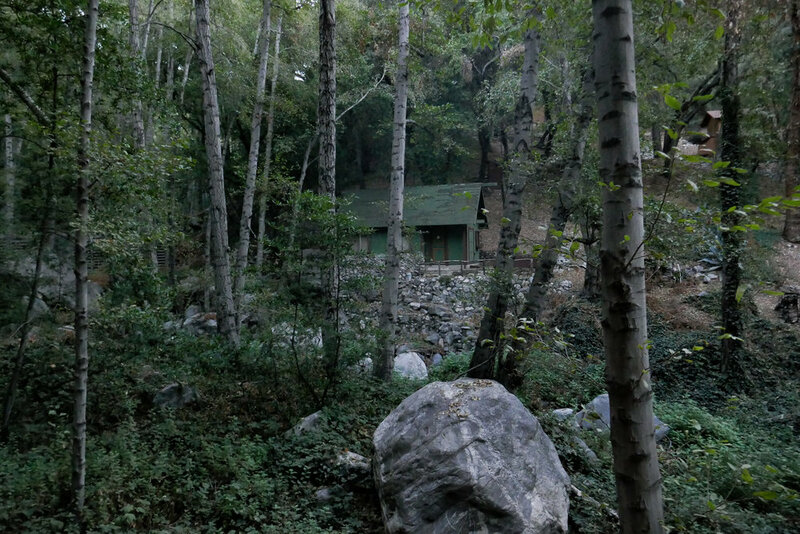 The oldest building in Angeles National Forest still in its original place. Lots of acorns. The squirrels must be so happy. At the peak. Views of Mount Wilson. Coming down the Mount Zion Trail switchbacks. It's steep and exposed but going down is easy. 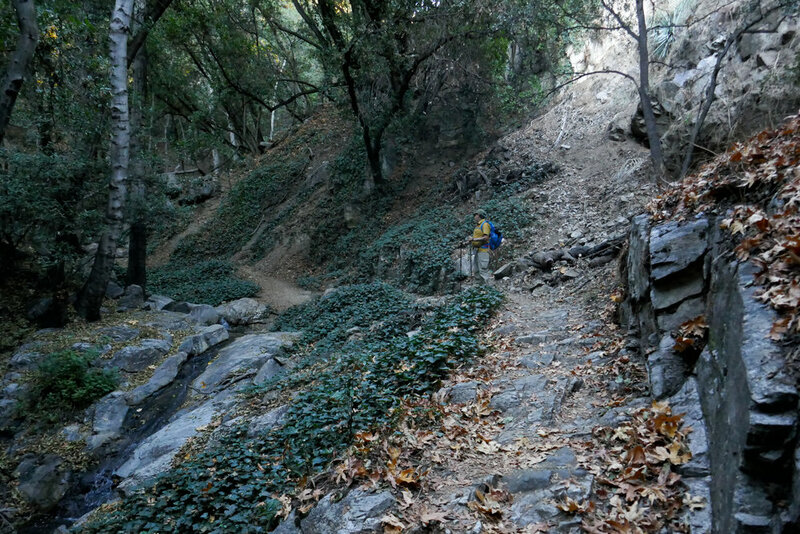 On the Winter Creek trail heading back to Chantry Flats. Looking up at the canyon wall. Back at the bridge at Roberts Camp where we started before the long walk up the paved road. We stopped at the pack station for some ice cream, but the mules were out making a delivery to Sturtevant Camp.